Susanna Clarke's first novel and international best-seller, Jonathan Strange & Mr Norrell, is an utterly compelling heroic tale of nineteenth-century England and the two very different magicians who, as teacher and pupil and then as rivals, emerge to change its history. The epic is now available as a beautiful collectable boxed set. 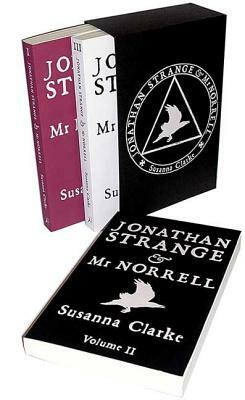 The visually stunning set includes three paperback volumes, each bound in a different color: cranberry, black, and white.